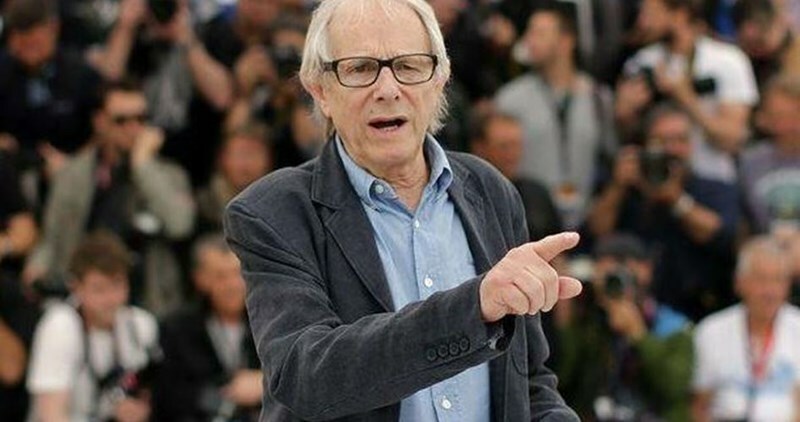 In press remarks, Loach stated that he also has a lot of cinematic ideas on Palestine and stressed the need to let everyone know about what really happens in Palestine and Gaza. He said that the silence on Israel's violations in Palestine is much worse than committing a crime. The British director will participate in the Palestine film festival slated to be held in Paris next month. Senior Kulanu official makes it clear that the party will not support Yisrael Beytenu's flagship legislation, which is one of its conditions to join the government. 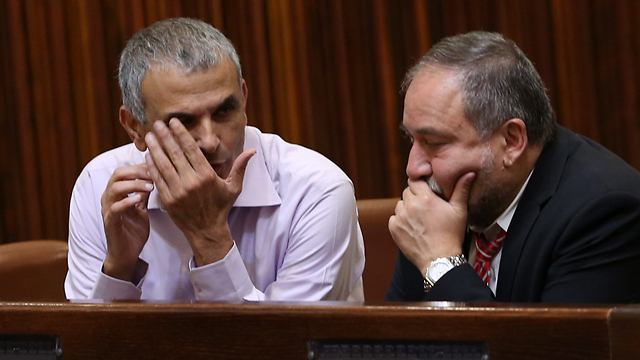 A senior member of Moshe Kahlon's Kulanu told Ynet on Sunday that the party will not support an amendment to the law that would make it easier for military courts to sentence terrorists to death, a bill being pushed by Yisrael Beytenu leader Avigdor Lieberman who is in talks to join the government. "Israel's defense establishment is in agreement that this is a bad idea that it will not contribute to the fight against terror or to Israel's security," the official said. "It's an inappropriate suggestion both on an ethical and operational level. Any attempt by the government or the Knesset to act in such an irresponsible manner will come up against a wall comprised of all ten of Kulanu's MKs." Yisrael Beytenu has yet to officially sign the agreement to join the government due to budgetary issues over the party's demand to complete the pension reform and its demand to amend the law to allow death sentence to terrorists. Likud Minister Yariv Levin has been working with Lieberman to formulate a draft bill proposal on death sentence to terrorists that could withstand the High Court's judgment. One of the options is to amend the legislation that allows the military court to hand out capital punishment to terrorists if a unanimous decision is made by three judges, and change it so only two judges suffice. If the sides fail to reach a final agreement on the legislation, it is possible they will commit to working on the legislation during the upcoming Knesset session. On Friday, Lieberman and Finance Minister Moshe Kahlon held their first meeting on the pension reform. At first, Lieberman sought to secure pensions only for immigrants from the former Soviet Union, but it was eventually decided to apply the planned reform on all immigrants, as well as on other Israelis who did not work enough years to accumulate sufficient pension funds. The cost of the reform stands at about NIS 3 billion, a sum that could only be allocated if it is done gradually over the period of a few years. 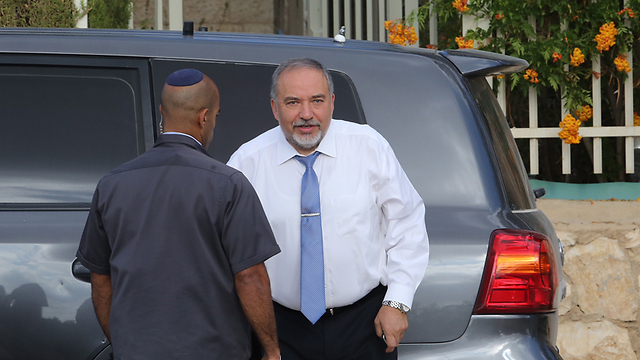 Lieberman and Kahlon agreed to meet again at the beginning of the week to finalize the details. It was only a year and a half ago that right-wing activist Yehuda Glick was dangling between life and death. 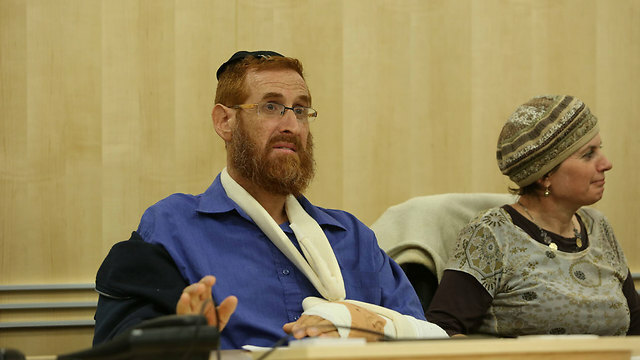 After being shot point-blank four times by a terrorist, he managed to utter "Shema yisrael" (the Jewish declaration of faith that the devout strive to say before death) before falling into a dark sleep from which he arose ten days later. This week, following Minister of Defense Moshe Ya'alon's resignation, Glick is to be sworn in to the Knesset, which will make him perhaps the most controversial MK in the current government, having incited severe criticism from the Palestinians, the left, and the right. "I feel that God hugged me, and that he didn't let me go for a minute while my life was in danger, wrapping me up in so much love," said Glick. "I was in such critical condition that a lot of people thought I wasn't going to make it, and that if I were, I'd be severely disabled for the rest of my life. And now here I am, standing on my own two feet and being sworn in to the Knesset. God must have thought I still have things to do in the Knesset. I'm glad to be alive and have God put his faith in me." Glick's politics are tricky to pin down. On the one hand, he is considered an extremist who fights for the entry of Jews to the Temple Mount, which could potentially ignite the Middle East and the entire world at large. On the other hand, he is one of the most vocal detractors of Sgt. Elor Azaria, who shot a neutralized terrorist to death earlier this year. His stance earned Glick some new enemies, this time from the right. Glick has also voiced criticism over Yisrael Beytenu Leader Avigdor Lieberman's appointment as minister of defense and has pushed instead for a unity government with the Labor Party. This is despite the fact that it was Lieberman's recent agreement with Prime Minister Benjamin Netanyahu that facilitated Glick's entry to the government. "I understand Ya'alon's pain," said Glick. "But I think he shouldn't have resigned, and I even call upon him now—if there is still a chance—to stay. Ya'alon is an asset to the people of Israel and certainly to Likud." Do you recant the things you said about Lieberman? "I wish him a lot of luck. His success is our success. The position of minister of defense is the most senior position apart from that of the prime minister, and I hope he understands the obligation that comes with it. I also didn't like the comments Lieberman made against (Zionist Union Leader) Isaac Herzog. (Herzog) tried to do what he thought should be done, but the level of ridicule aimed at him at this point is beyond the pale." Attacks from the right Glick, 51, vividly remembers October 29, 2014. "I was at an annual event celebrating the Rambam's visit to the Temple Mount," he recalled. "The event included a left-wing speaker and a Muslim and invoked a feeling of solidarity and strength. As it was winding down, the only people left were me and two of my friends, Moriah and Shai. My wife Yafi was bringing the car around. I started walking toward the car to load it up, when a short man with a small container stopped next to me. He said, 'I'm so sorry,' and since I didn't understand what he was referring to, I came closer. That was when he pulled out a gun, said, 'You're an enemy of Al-Aqsa' and shot me point-blank with four bullets in the center of my body. "All four bullets entered and exited my body. I started bleeding. Moriah and Shai ran over to me, and I ran toward them, or rather limped. Then I lay down on the sidewalk. A few seconds later, Shai reached me. I hear Moriah saying, 'He's completely pale,' and Shai saying, 'We just witnessed a murder. Go take care of Yafi, and I'll take care of Yehuda.'" "Shai lay on me, took my shirt off and screamed into my ear something I'll never forget: 'Rabbi Yehuda, don't leave us, we need you.' That was when I realized I was in mortal danger. Shai was on the phone with a paramedic friend of his, who was guiding him in how to treat me. He was trying to stop the blood when I began to stutter 'Shema Yisrael.' They put me in an ambulance, and my wife came in with me and held my hand. She spoke to me while I tried to calm her down. That was when I started losing consciousness." Did the assassination attempt change you? "I suppose it did. It became even clearer to me how dangerous violence can be, and how we as a democracy need to make sure that elected officials working toward certain principles are safe. One of the surgeons who operated on me was Muslim, and I think he did a lot more for Islam than the Muslim who shot me in the name of Islam. People who think God wants them to promote hatred are misinterpreting his will. Despite being all the more committed to the mission God has created me, I feel it has given me a new path for a dialogue with the many people who are willing to listen." The Palestinians see you as a symbol for the extreme right, with your entry in to the Knesset together with Lieberman's new appointment seen as a radical break to the right. "The Palestinian press is full of attacks against me as a radical Jew. They're right. I'm very extreme in my belief in peace. I'm extreme in my faith in a respectful dialogue, and that bothers those whose agenda is built on violence and hate. I'll keep working toward peace as well as human rights for everyone, and I'm sorry for any person who refuses to engage in a dialogue with me." The father of eight (two of them foster children) and grandfather of six, Glick, who lives in the settlement of Otniel, has repeatedly enraged Palestinians, left-wing activists and moderate centrists. Over the last few months, he has even managed to anger his friends from the right when expressing his shock at the Hebron soldier who shot a neutralized terrorist. "The fact that the terrorist who set out on this mission didn't believe he would survive does not justify the soldier's horrifying actions," Glick had written on Twitter, adding that, despite the incident, the IDF remains the most moral army in the world. Not that defending the IDF did him any good. Moments after the tweet went up, the soldier's supporters already began attacking him. The same day, Glick posted another tweet, saying, "It is grotesque and sickening to see the malicious satisfaction of those who dance upon the blood and protest the IDF following the soldier's behavior. No less sickening, though, are those who praise his actions." At this point, his Twitter and Facebook feeds began to fill up with personal threats, among them, "I'll get you yet, you stinking leftie," "Too bad they didn't murder you when you were injured" and "Too bad this is the man we were happy didn't die." 'We will be victorious at the Temple Mount! 'Glick's Facebook cover photo has "We will be victorious at the Temple Mount!" written in bold letters, with his redheaded face appearing in his profile picture below. His father, former dean of the Faculty of Health Sciences at Ben-Gurion University, Prof. Shimon Glick, described his son during an interview to Ynet's sister publication, Yedioth Ahronoth, after his assassination attempt. "We agreed to disagree, and I love him with all my heart," said the senior Glick, whose political views differ from those of his son. How does your father, a human rights activist, react to your joining the Knesset? "My father is a very dear man. I myself am a human rights activist. I'm a very extreme person, who believes in human rights in an extreme way, and I got all that from my father. He is a humanist; he truly loves mankind." "We don't always see eye to eye, but he was the one who taught me Jewish and Western values, which talk about a plethora of opinions. My parents taught me about human dignity, and that you should listen to the opinions of those who don't necessarily voice your own. The two of us communicate on a daily basis. He advises, encourages, supports and sometimes reprimands me. At times I accept what he tells me and at times I don't. He respects that." What will do as an MK? "I don't want to come out with any big declarations yet. Working in the Knesset is a team effort, not a solo one, and I'm going to be part of a wonderful, diverse group called Likud. We have a real democracy complete with distinct opinions. I am entering a government that is headed by a man, who despite what is said about him cares about the country and its people. I hope that I'll act in a cordial and open manner, and enter into a dialogue with people from all walks of life, both from the coalition and the opposition. I hope to be a part of promoting peace." Glick continued, "I was elected to represent the Judea and Samaria region, and as their representative I am committed to doing anything to improve the security and quality of life in the area. There are half a million citizens living in the area (Jewish citizens. —NB) who should all have equal rights, and I hope we will figure out how to cohabitate in peace with the Arabs living with us." Will you visit the Temple Mount as an MK? "I hope so. I'm all for Jews and Muslims visiting the Temple Mount together, but if Prime Minister Netanyahu asks me not to go there, I won't." You said the Temple Mount will be a center for peace. "That's our goal, and the vision of the Jewish spirit. The Temple Mount is supposed to be the place out of which the message of 'They shall beat their swords into plowshares, and their spears into pruning hooks, neither shall they learn war any more' should come out." The appointment of Lieberman at the helm of the Defense Ministry, many observers agree, marks an unprecedented Nadir in Israeli politics. Some Jewish writers have already compared the dramatic ascendance of Lieberman to the country’s top security post with the rise in Germany of the Nazi party in the late 1920s. The man is seen as encapsulating a genocidal combination of both German Nazism and Soviet Stalinism. Stalin is reportedly Lieberman’s ultimate role model. Moreover, it is widely thought that had millions of Jews not been exterminated by Nazism, Hitler too would have become Lieberman’s hero. In 2006, this writer wrote the following, after Lieberman was elected to the Knesset: “Lieberman is more than just “controversial” as the Zionist and Zionist-controlled media would portray him, mainly in order to evade facing the reality of his fascist-mindset. He is actually a dangerous demagogic politician and warmonger who advocates ethnic cleansing, genocide and a nuclear Armageddon. In fact, the man can be viewed as a Hitler-in-the-making with very little exaggeration. Lieberman’s thuggish behavior is very well known even among Jews in Israel. In 1999, the former Moldovan immigrant attacked and savagely beat, some say bit, a neighbor’s child for allegedly beating his own son. The affair was publicized in Israel but eventually died down when Lieberman’s star rose, first as a lawmaker representing Jewish immigrants from the former Soviet Union and second as cabinet minister in Ariel Sharon’s government 2001-2003. That is why we may well be about to witness a new turning point in the annals of the Arab-Israel conflict, a turning point characterized by pornographic genocidal violence, probably unseen since 1948. The genocidal thug is already threatening to murder Palestinian leaders, including Ismael Haniyya, the former elected Palestinian Prime Minister. A final word to the Israeli Jewish society: Don’t you ever think that a Nazi or Nazi-like War Minister will benefit you or bring about more security, stability and peace to you. I strongly believe the opposite would happen. Many Germans thought the same with regard to the Third Reich. We know the rest of the story. And don’t you ever think that Jewish morality wouldn’t allow the emergence of a Jewish Hitler. Germany was probably the most cultured society under the sun in the years leading up to the Holocaust. Khalid Amayreh is a veteran Palestinian journalist and current affair political commentator living in Dura, occupied Palestine. Islamic Resistance Movement (Hamas) said Friday that the threats of the newly appointment Israeli Defense Minister, Avigdor Lieberman, against the movement and the Gaza Strip, do not scare it, and that it will always remain steady. 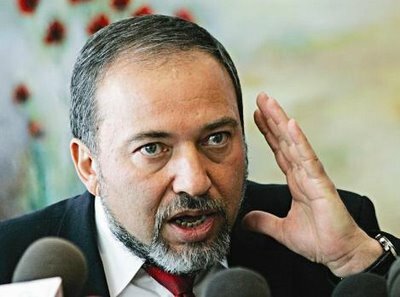 His statements came after Lieberman threatened to assassinate all the political leaders of the Hamas movement, should they “fail to return the bodies of soldiers,” who were killed during the 2014 Israeli aggression on the coastal region, that led to the death of more than 1600 Palestinians and dozens of thousands of injuries in 52 days, in addition to the complete or partial destruction of dozens of thousands of homes, public and private facilities, including hospitals and medical center. 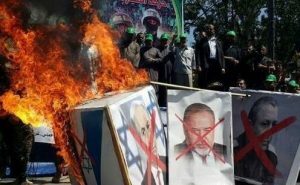 At the end of the procession, many Hamas members tore and burnt pictures of Israeli Prime Minister Benjamin Netanyahu, the newly appointed Defense Minister Lieberman, in addition to the sacked minister Moshe Ya’alon. The Ha’aretz article quoted the investigation’s documents, which found that Lieberman had millions of dollars in offshore bank accounts linked to at least five different companies in his name. The investigation’s report also stated, “Considerable questions and queries remain in light of the evidence seemingly indicating Lieberman’s involvement in the companies and his improper connection with them. Israeli war minister Moshe Ya’alon declared his resignation from his ministerial position in the Israeli government and Knesset on Friday morning. In a statement he posted on his social media account, Ya'alon said that he took the decision to leave "following the recent conduct" of Netanyahu, and "in light of my lack of faith in him." "I am resigning from the government and Knesset, and am taking a time out from political life," Ya'alon said. He declared his intention to hold a press conference at noon. The move came after Ya'alon was ousted by Netanyahu in favor of Avigdor Lieberman, who is currently in final negotiations to bring his Yisrael Beytenu party into the governing coalition. With Minister of Defense Moshe "Bogie" Ya'alon's resignation from the Knesset, his replacement will be the right-wing activist Rabbi Yehuda Glick. Glick, the man most identified with the fight for Jews to access the Temple Mount and who survived a 2014 assassination attempt, was number 33 in Likud's party list. 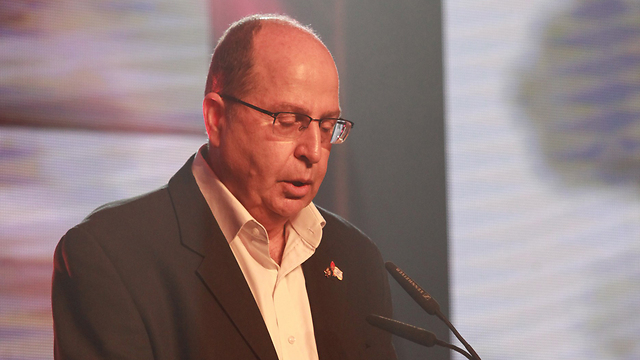 "I'm very sad about Bogie Ya'alon's leaving," said 50-year-old Glick to Ynet on Friday morning after he was informed that he would be entering the parliament. "He's an important man who gave much for the Israel's security and for Judea and Samaria's security. I hope that he will continue to contribute outside of politics. I think that Likud lost a very important political asset today. Regardless, I wish the best of luck to the incoming minister of defense with all my heart." Regarding his new position, Glick said, "I welcome the moment. It’s a moment of nervousness, because I'm going to be the emissary of the people of Israel, and I hope that I will bring light and that the Almighty will aid me in this mission." Glick may run into problems, as MKs are forbidden from visiting the Temple Mount because of the matter's sensitivity with Palestinians and the rest of the Arab world. He said on this matter, "With my entrance to politics, I am a team player and not an individual one, so I'll respect the Knesset's decisions. I also think that this decision was the right one, because several Arab MKs went to the Temple Mount, and it caused unrest. I currently do not intend to make declarations about whether or not I'll work to change the law. The incoming parliamentarian was previously an envoy to CIS countries and later was promoted to various positions in the Ministry of Immigrant Absorption. He made a career change in response to the withdrawal from the Gaza Strip, when he left civil service. "I can't serve the public as the representative of the state and the government," he wrote at the time to his friends, and he began public and political activities of a different nature. The Otniel (a settlement south of Hebron) resident became a public activist for the Jewish right to visit and pray on the Temple Mount. He first worked as the CEO of the Temple Institute, which seeks to prepare for the erection of a third Jewish temple on the site. Glick then went on to become a central activist and the head of movements and coalitions of organizations committed to the Temple Mount and the third temple. In his various roles, Glick acted in different ways for freedom of religion and worship on the Mount. He used to visit the site daily and lead Jewish group tours there. He fought for the expansion of visiting hours for non-Muslim tourists and for the right to prayer, even if only as a whisper. He found ways, together with colleagues, to get around the prohibition on Jewish prayer on the Temple Mount: they made as though they were speaking amongst themselves over mundane matters, or as a guide to a tourist, when they were actually mumbling prayers. In addition, he petitioned the High Court of Justice each year to permit him to slaughter a sacrificial paschal lamb at the holy site. In 2014, Glick was shot during an annual Temple Mount event in Jerusalem and critically wounded. After several months of rehabilitation, he managed to heal and return to his activities. In March of this year, he returned to the Temple Mount for the first time since the attempt on his life. Minister of Defense Moshe Ya'alon announced on Friday morning on his Facebook and Twitter feeds that he has resigned from his ministerial position and from the Knesset. He further announced a break from political life. The post reads, "I informed the prime minister this morning that following his recent actions and developments, and given the lack of faith in him, I am resigning from the government and the Knesset and taking a break from political life." Ya'alon also announced that he intends to hold a press conference at noon at the Ministry of Defense headquarters in Tel Aviv. It was announced on Wednesday night that Avigdor Lieberman, leader of Yisrael Beytenu, would be bringing his party to join the coalition. Lieberman himself is to receive the defense portflio. Reportedly, Ya'alon, who had been growing distant from Prime Minister Benjamin Netanyahu, was not surprised at this development. Ya'alon's resignation is to take effect on Sunday and Lieberman is to take his place on Tuesday. In the intervenine two days, the defense portfolio will be temporarily held by the prime minister, in addition to his foreign affairs, communications, regional cooperation and economy portfolios. 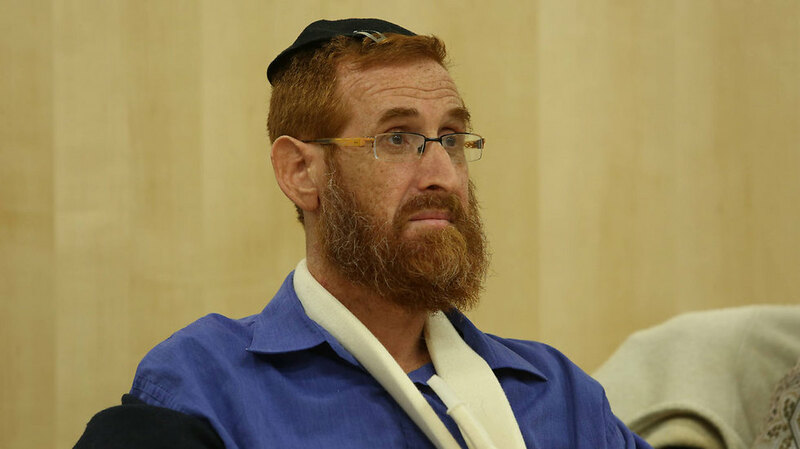 Replacing Ya'alon in the Knesset will be the next person on the Likud party list, Rabbi Yehuda Glick. Glick, 50, is originally from the United States and is a prominent right-wing activist. He survived an assassination attempt in 2014. The Palestinian Authority on Thursday slammed Prime Minister Benjamin Netanyahu's decision to bring Avigdor Lieberman's Yisrael Beytenu party into the government, saying this was "further proof that there is no true partner for peace in Israel." A statement from the PA Foreign Ministry said that the decision to appoint Lieberman as the defense minister has led the Palestinian people to the conclusion they have no other choice but to continue their international campaign for recognition. "This decision is Netanyahu's answer to the French initiative and to international and regional efforts to advance the peace process between our two sides," the PA Foreign Ministry in Ramallah said. "Netanyahu is sending a very clear message to the world that Israel prefers extremism and expanding the occupation and the settlements over peace," the statement continued. The Palestinian Foreign Ministry demanded that the international community "bear political, moral and legal responsibility towards the Palestinian people and their rights. The adherence of Yisrael Beytenu, headed by the extremist Lieberman, to the Netanyahu government and its receiving the defense portfolio was welcomed and supported by settlers and extremists in the Israeli streets." According to the ministry, this dramatic development is not surprising "to those who follow day to day the steps of the extremist Netanyahu government and its various apparatuses against the Palestinian people. The adherence of Lieberman, known for his right-wring and extremist views against the Palestinians is new proof that Netanyahu prefers to render his government more fundamentalist, to make it, as the Israeli press has dubbed it, the most right-wing government in Israel's history." The Arab press has been following the unfolding story in Israel, but it has relied mainly on reports from the Israeli media. In reports, Lieberman is presented as a character threatening Arab states, especially compared to Ya'alon. Lebanese newspaper As-Safir, which has ties with Hezbollah, printed the headline, "A Netanyahu and Lieberman partnership—a more fascist regime." Egypt also followed the recent Israeli political drama via Israeli media. The Egyptians of course recall Lieberman's statements about bombing the Aswan Dam if Egypt sent forces into Sinai. Egyptian sources have indicated their frustration. Close associates say the defense minister saw the move to oust him taking shape behind the scenes; 'Netanyahu wanted to expand the government at any cost, and the tensions between Ya'alon and Netanyahu also played a part,' says one associate. It was business as usual for Defense Minister Moshe Ya'alon on Wednesday after being informed by Prime Minister Benjamin Netanyahu that his job was given to Yisrael Beytenu leader Avigdor Lieberman. 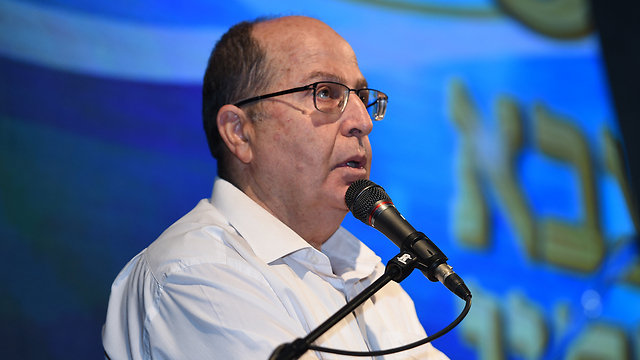 "I'm not surprised and I'm not concerned by it," Ya'alon told his close associates. One of them said Ya'alon "is not hurt or offended, we knew about this move that was taking shape behind the scenes." "Bibi (Netanyahu) wanted to expand the government at any cost, and the tensions between Ya'alon and Netanyahu also played a part," the associate added. Another close associate claimed that Ya'alon's recent strong statements in support of the IDF were viewed as a threat by Netanyahu. "Ya'alon was starting to gain a lot of support from the public—and that made Netanyahu nervous." But Meir Ramon, a close friend of Ya'alon, said on Thursday morning: "I think he feels hurt, and he believes in the righteousness of his way. Perhaps he's hoping that this move falls through, but he's a strong, brave man who will get through this obstacle as well." Ramon asserted that "Lieberman is right wing in his words; Bogie (Ya'alon) is right wing in his actions. Everyone knows that what Bogie did, as an elected representative, for the settlement enterprise, no minister has done before him." He went on to say that Ya'alon "knew that in order to have a broad coalition, concessions will have to be made, but he never believed those concessions will be made in the Defense Ministry." Ramon said he urged Ya'alon to stay in the Likud party and believes that he will. "The next prime minister will come from the Likud, and I say this with great sadness as a member of the Labor party. If he wants to be the prime minister, and I believe he does, he needs to be the next candidate after Netanyahu." He accused Netanyahu of "sacrificing (Ya'alon) on the altar of the broad coalition. Bogie has declared many times that he will not oppose Netanyahu. 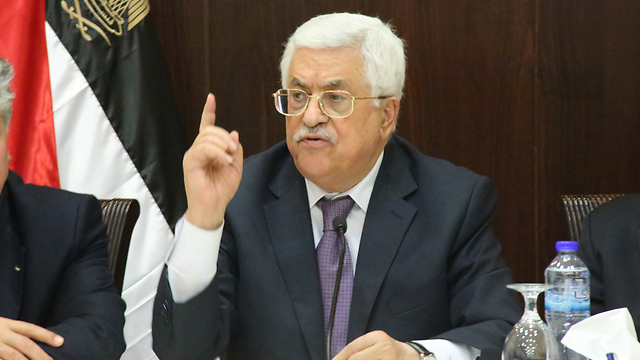 It could be that this move would cause him, in a year or two, to finally oppose Netanyahu." Officials in the Prime Minister's Office said Wednesday that Netanyahu is currently examining the option of giving Ya'alon the Foreign Ministry instead. Ya'alon's associates said he would accept such an offer. Many of Likud's ministers were quick to welcome Lieberman's appointment—among them Yuval Steinitz, Miri Regev and Yisrael Katz—after having clashed with Ya'alon over the past few months. "It's better to have a stable national camp government than a false unity government that would not be stable," Minister Ze'ev Elkin said. Transportation Minister Yisrael Katz called Lieberman's Yisrael Beytenu party "a natural partner for the national camp government." A Likud official went as far as saying that "most of the Likud ministers who wanted to see Bogie outside the Defense Ministry are walking around with a big smile right now." Meanwhile, Likud activists were angered by the development, saying it was "a humiliation of one of Likud's greatest assets." Yisrael Beytenu leader Avigdor Lieberman, who is expected to be appointed defense minister and bring his party into the government, has dubbed his change of fortunes as a "double achievement for the Russian-speaking community in Israel." Lieberman, whose party will receive the Immigration Absorption Ministry as well after reaching an agreement with Prime Minister Benjamin Netanyahu, told Yedioth Ahronoth's Russian-language publication Vesti that "receiving the Defense Ministry is, to me, an important stage in shattering the glass ceiling that we, the community of immigrants from the former Soviet Union, have been facing over the years." 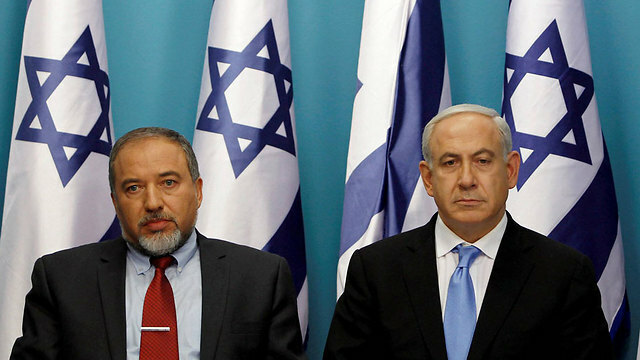 Lieberman also obtained a promise from the prime minister that the work on current Immigration Absorption Minister Ze'ev Elkin's pensions reform will continue and be completed, a central issue for Yisrael Beytenu. The reform seeks to ensure that immigrants would receive a proper pension regardless of the number of years of service. In addition, Yisrael Beytenu's initiative to impose the death penalty on terrorist will also receive the coalition's support. "If we can resolve the issue of pensions for the immigrants, then that would be an immense achievement that was reached thanks to insistence and persistence," Lieberman told Vesti. "If we can finalize this agreement and join the government, then this double achievement expresses the recognition of the status of immigrants and the Russian-speaking community in Israel." Labor leader Isaac Herzog's attempts to join the government were seen as a threat by the right wing, mostly because of the Labor leader's demand to receive an assurance in writing from the prime minister that he would have veto privileges over decisions on construction in the settlements. Elkin and the head of the Samaria regional council, Yossi Dagan, decided to thwart Herzog's ambitions and, with the help of Tourism Minister Yariv Levin and head of the Likud branch in Judea and Samaria Shevah Stern, the two asked Netanyahu for the green light to approach Lieberman. After Netanyahu consented, the group set to work and set up the move over the last few days. In an effort to promote the move, Elkin gave an interview to Yedioth Ahronoth, in which he expressed vehement objection to adding Herzog to the government—warning such a move would only serve to strengthen Lieberman. Many in the Likud were doubtful the effort to bring Lieberman into the government would be successful, after the prime minister and the Yisrael Beytenu spent the last year hurling insults at one another while the latter was in the opposition. Lieberman himself did not trust Netanyahu and suspected he was being used as leverage against Herzog. But the pressure from the right was immense, including threats that MKs Bezalel Smotrich and Uri Ariel of Tekuma (a faction within Bayit Yehudi) would quit the coalition, leading to a situation in which Herzog holds power over the government. 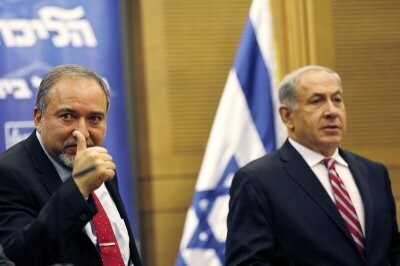 Lieberman named his price—the Defense Ministry—and while Netanyahu was not enthused by the demand, he conceded. After his private meeting with the prime minister on Wednesday afternoon, Lieberman met with Likud Minister Yariv Levin, appointed as Netanyahu's point man during the negotiations, to finalize the rest of the agreement's details. Talks are expected to continue on Thursday morning and an official involved in the negotiations said only the technical details remained, and the agreement should be signed either by the end of the day or on Friday. One of the issues still up for negotiations is Yisrael Beytenu's request to advance one of its legislation proposals that seeks to fund 90 percent of the mortgage for young couples. The bill has so far been met with objection from the Finance Ministry both under Yair Lapid's leadership in the 19th Knesset and under Moshe Kahlon's leadership in the 20th. Lieberman held a press conference earlier Wednesday saying he was willing to discuss the possibility of bringing his party into the government, but that he has yet to receive any official offer. The press conference was followed immediately by a call from Netanyahu, who invited Lieberman for a one-on-one meeting on the issue, which bore fruit. Opposition leader Isaac Herzog (Labor), who has been negotiating the option of adding his own party into the government as well, was quick to follow Lieberman's press conference with one of his own, in which he announced he would not continue talks while Lieberman was also in talks with the prime minister. As the afternoon wore on, Lieberman's successful meeting with Netanyahu led the prime minister to hold conversations with the heads of the partiers in his coalition, in which he updated them about the recent developments. Netanyahu also called current Defense Minister Moshe Ya'alon to tell him his job had been offered to Lieberman. The prime minister is currently examining the option of giving Ya'alon the Foreign Ministry instead. Meanwhile, current Immigration Absorption Minister Elkin will receive a limited economy portfolio, including just industry and trade. The employment portfolio will be given to Welfare Minister Haim Katz. The Immigration Absorption Ministry will be given to Lieberman's close Yisrael Beytenu ally Sofa Landver, which served in the role before.